TIAMAT’S WRATH is available now! 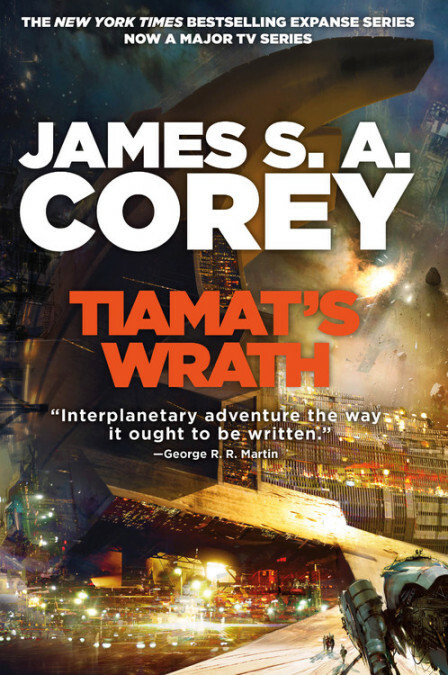 The eighth book in the NYT bestselling Expanse series, TIAMAT’S WRATH finds the crew of the Rocinante fighting an underground war against a nearly invulnerable authoritarian empire, with James Holden a prisoner of the enemy. Ruh-roh. Tough times lie ahead for our caffeine addicted spacer as he squares off against Duarte’s regime in the latest Expanse novel, TIAMAT’S WRATH. To find out how Holden and the rest of the crew of the Rocinante fare against these tough odds, pick up a copy of TIAMAT’S WRATH–available now in print, ebook, or audio formats.